Creative Reactor is a photoperiodical, feminized mainly sativa strain which was produced owing to the neurobiologists from Neuroseeds. 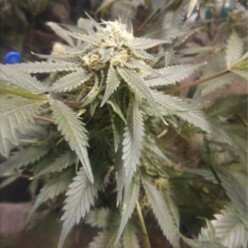 A wonderful popular on the market G13 Haze strain participated in creation of Creative Reactor apart from secret “X”-strain. The name of the strain could not have come at a better time, indeed, the impact of this strain is aimed at giving your mind a perceptible dose of creativity – uplifting, thought provoking, energetic. Creative Reactor is a good choice for the inexpert growers, as it does not demand thorough care, it only requires more space to grow. The sort has got pleasant sweet flower, citrus aroma and taste.